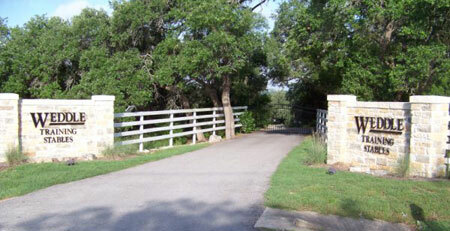 Located near the end of Loop 1/Hwy 45 in southwest Austin on the road to the Salt Lick Bar-B-Que Restaurant. 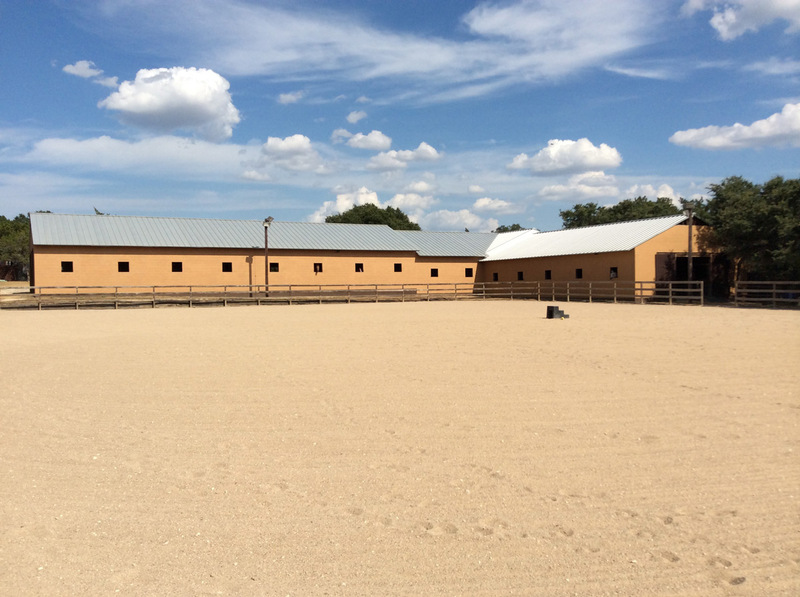 Our lighted 135'x200' all-weather arena and 60' solid-wall round pen allow everyone plenty of room to work and ride their horses. Our large 12'x12' stalls are generously supplied with shavings. Flies are kept at bay with an automatic fly-spray system. 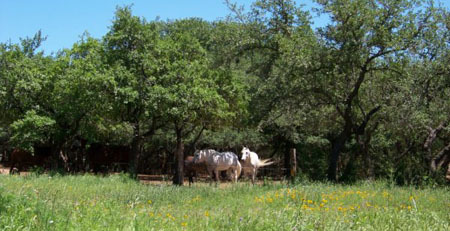 Shaded and safe turn-out pastures are available for every horse in training or boarding. Staff are on-site 24/7.